Share the Story is a teaching strategy for helping children learn to read. Words are in gray (for parents) and black (for children) to create an interactive reading experience for parent and child. On each page, one word is added in black for your child to read. By starting with one word on the page for child to read, and increasing this by one word at a time, children will be neither overwhelmed nor bored with learning to focus on letters and words. This reading method will be especially effective for children who learn best by memorization, or children who otherwise resist looking at the words on the page. If other teaching strategies have left your child bored and frustrated with reading, try Share the Story! Ellie the Elephant is trying to rescue her Baby Barry who is stuck on a branch high up in a tree. Ox tries to help. Cat tries to help. Bat tries to help. Rat tries to help. Dog brings a log to help, and Frog tries to help. Then Pup comes along and asks a question. Giraffe hears her name called, and at last the problem is solved. Baby Barry is back on the ground with Ox, Cat, Bat, Rat, Dog, Frog and Pup. All is well! This book is great for beginner readers. My granddaughters love it and feel such a sense of accomplishment after being able to read all of the bold-lettered words. I have ordered several copies to donate to a local grade school and look forward to the next book in this series: Eel and Seal Feel. 5.0 out of 5 starsGreat book for my 3 year old! I am a working Mom, but I am still a "Mom" first! Even if I spend 9 hours at work in a day the few I get with SAP I not only want to be fun, but I want it to be educational as she does not get enough of that staying at home all day. As she is preschool age and scheduled to enter Kindergarten this coming fall I am looking for ways to teach her the fundamentals without loosing her attention and her love for learning! When it comes to teaching letters and small words on the way to learning to read flash cards and other activities I have tried have only frustrated SAP. She loses interest and wants nothing to do with it! At this age it is no wonder! That is why I was excited to receive Ellie The Elephant, a Share the Story book written and illustrated by Sonya Jeffords. 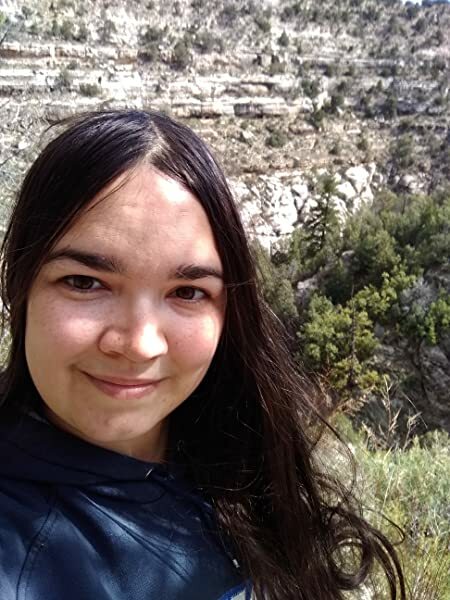 Sonya describes her story on her blog Sonya Writes as: "a reading experience for parent and child to share. Share the Story can help your child focus on what specific words look like to distinguish them from each other, without the full burden of trying to read a sentence, and without the frustration of trying to sound out words if that isn't your child's cup o' tea." When I'm looking for educational books and stories it is difficult to find any aimed at preschoolers and their preferences, it is often aimed for what the author believes the parent wants for their child. Ellie The Elephant is aimed at what the child needs as well as what they will enjoy to have the best success! In Ellie the Elephant together you and your child will read about Ellie's baby Barry who is stuck in a tree (oh no!). With all the help of Ellie's animal friends they figure out how to get Barry down from the tree safe and everyone is happy! The story is written in gray and black words, the gray being the main story that the parent reads and the black words are those that the child reads. Starting out on page one with just one simple word (on) a new word is added to the list of black words on each new page and so you slowly build up to learning new words and your child is never overwhelmed. Looking through the book before introducing it to SAP I found the illustrations adorable and simple! It reminded me of a workbook mixed with a coloring book. I was surprised to see the exercises in the back of the book to work on letter identification and writing as well as learning the difference between upper and lower case letters. Though the book is designed to teach a dozen simple words through a story it seems to do much more. I found that the build-up of words worked well for SAP. When we first got the book SAPsDaDa sat down and read her the story all the way through. She enjoyed the story but did not understand the concept of repeating only certain words! Instead, SAPsDaDa said she tried copying everything he said! Now SAP and I have a routine down. 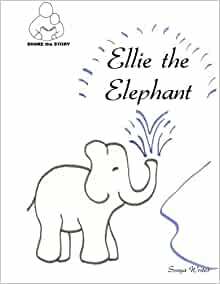 Since SAPsDaDa and I switch nights on who reads her a bedtime story on my nights she knows now I will read Ellie The Elephant. We start slow and I only add one page each night. When I pause at a black word she knows to say it! We are now on page 3 and she can distinguish 3 words from each other, though still mixes up "on" and "ox" as they look so closely alike to her. I am happy that Sonya included a writing exercise in the back of Ellie the Elephant as I plan to work on letter identification with her to help her see the difference between "on" and "ox"! Together SAP and I are a team working through this book! SAP couldn't keep her hands off Ellie the Elephant, she kept bringing it to me to read even when I was busy, so would "read" it herself, of course saying only the black words! She is currently stuck on page 3 but we're working on it! Here she is reading "on", "Ox", and "at"! I really enjoy the book and how it works with SAP. She has always "read books" through memorizing the story and I believe she learns best by memorizing what a word looks like rather than making it complicated and learning how certain letters sound etc.. We can work on that later! She is excited to be reading with Mommy! I do worry that working on the book too much might get her board of the story though the opposite might happen as she will want to read the same story for months straight every single night if she likes something a lot! Regardless I look forward to future "Share the Story" books from Sonya to grow our collection and encourage SAP's love for books and nurture it into a love for reading. In addition to Sonya's Share the Story book I received a copy of her My First Journal , where children can learn to journal without needing to know how to write! Journaling about their feelings can help children process their emotions, which is something I know many young children need assistance with (especially SAP!). Look forward to a review in the near future on how well Sonya's My First Journal works for SAP! Word are simple and are of things my daughter likes, such as Dog, Cat, Frog, etc. Though it is a learning exercise it does not feel like it to the child, it is fun, and it is not stressful, it is something you and your child are doing together, it is an activity they can enjoy! The illustrations are simple and appealing, they also entice my daughter to want to color them since they appear to be coloring sheets! Of course, I'd love to see more "Share the Story" books! But also I'd like to see more on Ellie the Elephant and Barry and their adventures. Children get attached to certain characters (such as Winnie the Pooh or Spot the dog) and it would encourage my daughter to continue with the stories. I'd love to see some simple color in the illustrations!